PostConsumer Reports: What do you do with art you "disagree" with or that offends you? What do you do with art you "disagree" with or that offends you? 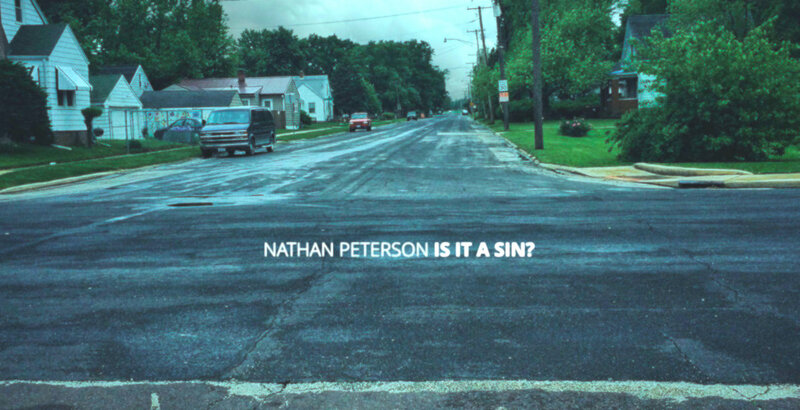 My friend Nathan Peterson released a new single a couple of months ago called "Is It a Sin?" It's a song I haven't quite known what to do with, both personally and as someone who makes an effort to promote music and art. Since I am on his promotional street team I got an early link to the song and decided to give it an immediate listen. I knew what was coming because he had told me what the song was about, but...after listening to it once I couldn't bring myself to listen to it anymore. It was too painful, too jarring, and too...well the only word I could think of was "offensive." Nathan is my friend and he's an artist I've supported for a number of years now. I've interviewed him on my podcast twice and he and his wife even put on a concert in our home, but this new song just wasn't something I could allow myself to promote. Out of the lungs of Jesus Christ"? How about that for an attention grabber? As a stand alone lyric that sentence seems set out to offend right from the start. But there is a context to the song worth explaining. Nathan's wife Heather gave birth to their daughter Olivia in January of 2015, after finding out in the middle of her pregnancy that their baby had a rare genetic condition called Trisomy 18. With this condition Olivia was not expected to live through the birth, or at least not more than a few days or weeks. And yet...she lived for more than a year, at home, in the arms of her mom, dad, grandparents, brothers, and sister. When Olivia died in April of 2016 Nathan and Heather were grief stricken and numb all at once. They were exhausted from a year of no sleep, relieved that it was all over, incredibly ashamed they felt that way, and utterly, wholly, empty. "Is It a Sin?" was written in a time where Nathan's anger at losing his daughter was expressed towards God and no answer would have been good enough. Three years. One year of terror. One year of depletion. One year of grief... and rage and depression and post traumatic stress and brokenness and throwing and breaking things and screaming and almost calling off our marriage. Three years of letting go. So much in only three years. Heather, as we've been torn apart, we've only been made stronger. Stronger in our marriage. Stronger as individual human beings. Stronger as spiritual warriors. I laid on my back in a field today for a long time. I couldn't move. I told God I was out of resources and strength. This posture is our "new normal" and it is our strongest position. You and me. Two broken up, disheveled people who no longer look like "good friends" or "good parents" or "good sons or daughters" or "good musicians" or "good christians"... but we look more like ourselves now than we did [then]. Three years of becoming who we are. The Nathan who wrote that post to his wife was the Nathan of Fall 2017, but the Nathan who wrote "Is It a Sin?" was the Nathan from another time, a Nathan in a dark place who was angry at God and shattered with grief, a Nathan who could not see the next step in front of himself for all of the rage. This makes "Is It a Sin?" a snapshot of a time in his life. It is not a comprehensive final statement, but instead a peek into the heart of someone deep into mourning. I can only speak for myself, but the words of this song sting to the core. It's not that I'm "too good" of a Christian or that I am going to get on a moral high horse and judge Nathan for his words, but...I can't look at them, I can't engage with them. What is more, after that first listen I even said to myself: "I disagree with this." Since then I have listened to the song a few more times (I am writing an article about it after all) but I honestly don't think I am ready to give my own interpretation or thoughts on the song itself yet. Instead, "Is It a Sin?" has lead to a whole series of related thoughts that are an attempt to answer the question "What do you do with art you "disagree" with or with art that offends you?" It may seem like an intellectual exercise but it is actually a highly practical project, because this song, in taking my breath away, has lead me to a simple, stilted question: How do I even respond to this? 1.) You could burn/boycott/denounce the work. Historically, this seems to be a frequently used option (See the response to John Lennon's "Bigger than Jesus" kerfuffle), but I wouldn't recommend it. It only brings more attention to the "offensive" work than was previously there and almost inevitably turns the artist into a martyr for their art. The burners/boycotters/denouncers end up looking like the bigoted fools and the artists becomes the heroes. 2.) You could simply ignore the work, pretending it is not there. This is essentially what I have done with the new Derek Webb record Fingers Crossed. As a listener, fan, and critic, apart from listening to a couple of songs I have decided I cannot go on the journey with Webb this time. There are so many works of art worth engaging with in the world that this option is actually quite easy to do. It is not necessarily an insult to the work itself to just move on. Sometimes though, a work doesn't let you off the hook that easy and it continues to confront you, pleading with you, "Engage with me!." 3.) You could seek out the artist's other works in order to gain a broader perspective on their story and perspective. In the case of Nathan you could buy his book So Am I, which is a series of reflections written during Olivia's life or you could listen to his past solo music or his work with Hello Industry, which varies on the spectrum between hymns and worship to songs that more abstractly tackles issues like depression and the loss that comes with age. All of which is to say, that with any artist a particular work will really only offer a particular story or point of view. To take in the fullness of an artist's perspective and expression, you need to immerse yourself in the breadth of what they have done over their career to the extent that the breadth of their work ends up informing what that particular work (perhaps that one song you find offensive...) means on a larger scale. To understand the micro of an artist, we must first engage with the macro. We came at it from numerous angles, we attempted to put ourselves in his place, we talked about how we might have written a similar song differently, we discussed how tender and quiet the music was compared to the raging lyrics, and we debated the merits of putting a song such as this out into the world. When I finally said goodbye to his parents I wryly said to them "Well, it looks like Nathan got what he wanted. Here we are, talking about his song for the last half an hour. What more could you want as an artist?" My point here is that when a work of art leaves you offended or dumbfounded one of the best responses is to talk about it at length with others in an attempt to hash out it's meaning. In doing so you may eventually figure out what it is actually about, whether not it is worth engaging with, and if it truly is offensive. 5.) You could answer the work with good theology/philosophy. As I was speaking with Nathan's parents that morning it struck me that Christian theology has a pretty decent answer to our grief and suffering, an answer that extends far back into our history: that because of his own wounds, Christ is fully present in our sufferings, that because of the cross Christ knows our griefs and bears our sorrows. Christian theology (of which there are many books, both old and new) would say the Triune God was there all along in Nathan's suffering. The loss, the rage, the emptiness, the pain: Christ endured and overcame all of this on the cross. I wanted to tell Nathan all of this, but it did not feel appropriate to do so. To start with it could have come across as trying to offer the stereotypically warm-fuzzy, "good Christian" answer. Even though I knew it wasn't this, I knew it could easily come across that way. On top of this I also know that most of the time someone in grief is not looking for the long-winded, analytical, abstract "text book" answer, but instead for someone to love them, listen to them, and sit with them in their grief. Eventually they may come seeking the theologically sound arguments, but they have to come of their own choosing. 6.) You could create another work of art in response to it or write a satire of it, discrediting it through mockery. This is actually a potentially effective option. Creativity breeds creativity. Art breeds art and the conversation continues... I personally think there is rarely a higher compliment to pay another work than being inspired enough to create your own work. I also think satire is an incredible genre within which to critique and dismantle a work worth rejecting. There is almost no better way to render something powerless than through the humorous deconstruction of satire. But there is a problem with Nathan's song: to me there is nothing mock-worthy within it and creating a satire in response to it would only cause more pain to him and his family, which is repulsive to me. A key element of satire is that it is most effective when it "punches up" to the powers that be, and it is not even remotely possible to punch up to a song like "Is It a Sin?" which is so down in the depths of grief. It would though perhaps be of benefit to create a tender and understanding work of art in response to this song, something spanning the spectrum from either encouragement to equal amounts of finger-pointing questioning. 7.) You could attempt to interact with the artist themselves. I was able to do exactly this later in the day "Is It a Sin?" was released. My school was having an event and afterward I had a conversation with Nathan himself similar to what I had with his parents. We discussed if anyone would even be willing to listen to a song that was so sad but also how Nathan had moved on from the place he was in when he wrote it. Even though I made a lot of my own observations in our conversation I didn't judge him, instead choosing to ask lots of questions. Not everyone is afforded that kind of proximity to artists, but one cathartic and effective approach is to try and discuss their art with them directly, if they are open enough to do so. 8.) Finally, you can simply choose to listen silently, understanding the reason "offensive" art is created in the first place is because to many the world is filled with an incredible amount of pain, evil, and absurdity and the only response many artists can offer is to make art that offends our sensibilities and preciously held ideologies. One last thought, related to point #7: in most instances it might be best to not "disagree" with a work art but to instead approach it as not even needing to be disagreed with, but to simply allow it to make the statements and ask the questions it set out to and in turn ask it your own set of questions and—after worthy consideration—perhaps offer your own statements about it as a response. To merely "disagree" with a work of art is to shut it down without engagement. Instead, ask it lots of questions and if it is truly worthy of being ignored or rejected a good set of questions will quickly make that clear to you. Along with this, his So Am I EP has just been made available on vinyl. I agree with the whole blog post, except its fundamental premise. I don't disagree with the song in the first place. Painful, yes. Jarring, yes. Offensive? No, not to me. In this short, simple lament, I hear the great, fundamental questions of human existence: Who are you, God, to make decisions that hurt and deprive us? Are you going to condemn us for lashing out at you in our grief--in other words, for being the woundable, feeling persons you created us to be? The questioner will ultimately be reconciled with the sovereign Lord, but asking the questions comes before finding and accepting the answers. This song is all about the time of questioning. Nathan could have said, "Is it a sin to want to lash out at God when life hurts?" or even "Is it a sin to fantasize about hurting God's child the same way he hurt mine?" That verbiage might have slipped under the "offensive" radar. But Nathan (like the psalmist David) put his misery right in our face with vivid physical imagery. The image of a man choking the life out of Jesus, God's child incarnate, is indeed brutal and shocking. 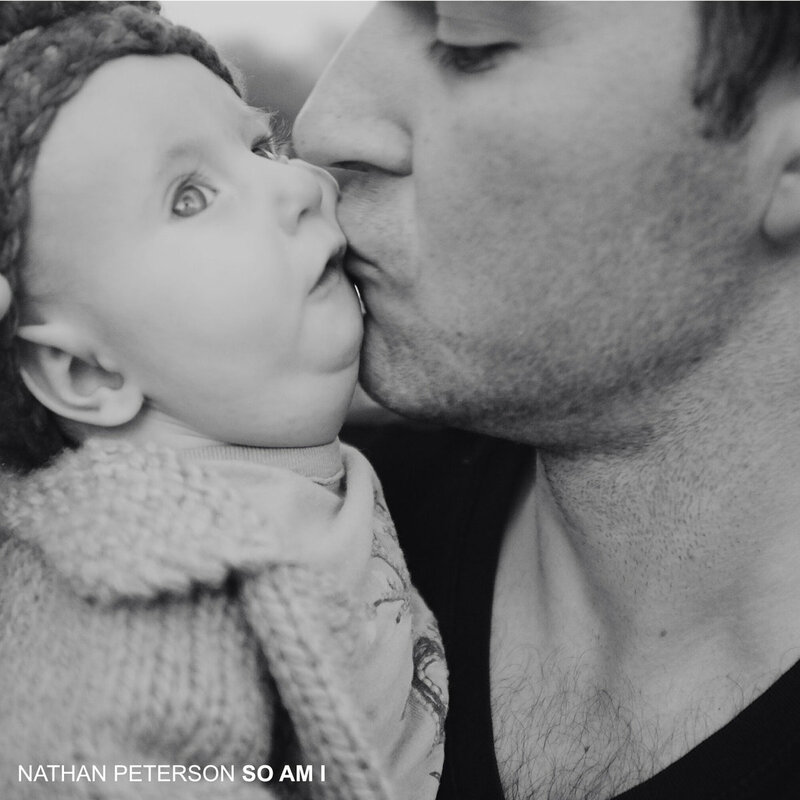 Is it more brutal and shocking than the image of God essentially choking the life out of Olivia, Nathan's child? Is it an "offensive" image? Well, if you're coming from a place of contentment with the Lord's goodness and divine sovereignty, this imagery is irreverent in the extreme. But the singer is crying out from a different place, depths where both goodness and sovereignty are obscured by anguish. Beautifully, the song ends on a prayer for forgiveness that expresses the sacredness of speaking honestly to God's face. What needs to be forgiven would be the hypocrisy of pretending in our prayers that we're all right with whatever God dished out, when he knows perfectly well that we aren't all right, not in that moment. Linda, how wonderful that you get where he was when he wrote this. It was like a drink of fresh water. I appreciate you and your honesty. I think when we really know how much he knows us, we can be honest with our feelings. Feelings that God totally gets. You have followed Olivia's story since day one. Thanks for all the prayers. Thanks so much. Great article. I appreciate your perspective as well as Linda's, above.